This programme is a crash course in the essentials of business that covers all the skills and knowledge a 21st century person needs to be successful. We have developed a unique and powerful methodology to allow participants to assess the commercial viability of any business idea and measure their performance against 9 Key Skills as they complete the programme. The course is 100% online and so fits conveniently around studies and other extra-curricular activities. It is taught from the perspective of an investor using theory (via our E-Academy), practice (via our Role Simulation) and feedback (via a Personal Profile). In particular, we place a strong emphasis on business astuteness and decision making. The main topics we will focus on are: Marketing, Strategy and Finance & HR. This knowledge will allow participants to use The Three Fundamental Factors (Markets, Competitors and Risk) to quickly assess the commercial success of any business. 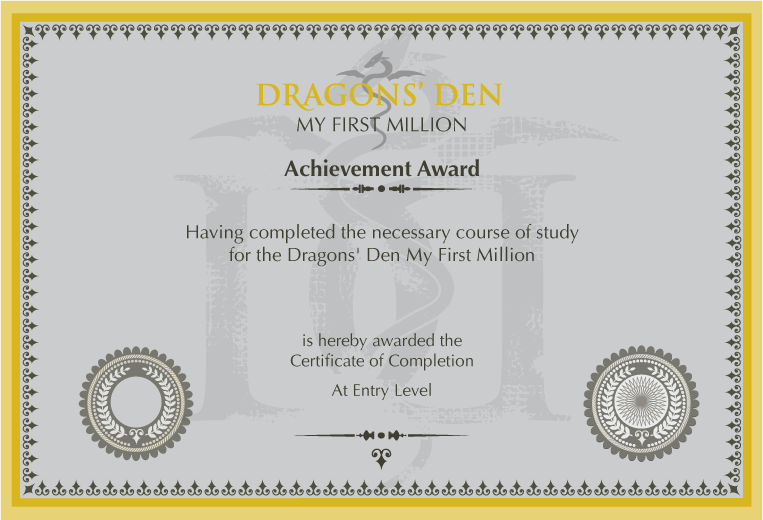 We will make use of bona fide examples from Dragons’ Den to provide illustrations of the concepts in practice. Hence this is neither a purely theoretical nor a case study course, but rather an analytical course which addresses real problems found in practice. Participants will truly find themselves in the shoes (or rather the chair) of a Dragon! Module 1 focuses on developing your knowledge of business using a set of E-learning resources developed from teaching at the University of Cambridge. You will explore and learn through 6 learning topics that cover Segmentation, Marketing, Competitive Position, Finance and HR. 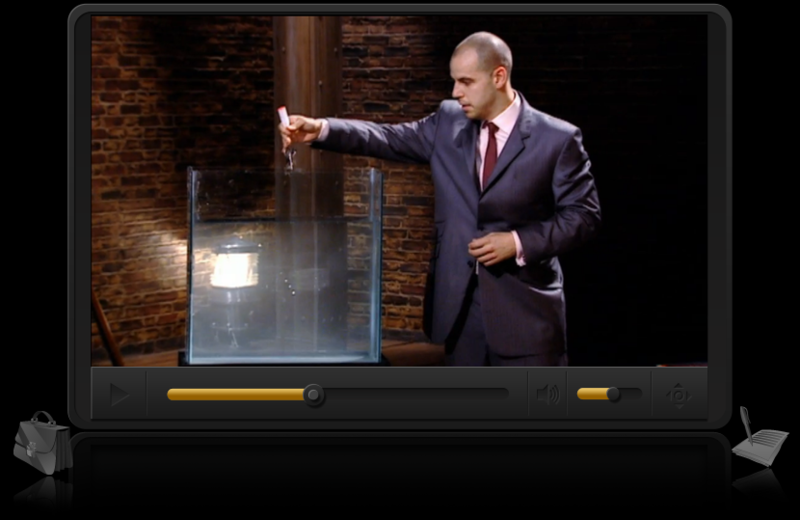 As well as these topics we will focus on teaching you the fundamentals of fast strategy. You are given a study log that will track your progress through the E-Academy. The interactive learning topics cover all the key information you will need in the form of questions with instant feedback, videos and case studies. Further reading is offered to those that want to delve deeper into the theory that they have been taught. This module is all about creating a diagnostic that measures and benchmarks your personal skills and business knowledge. 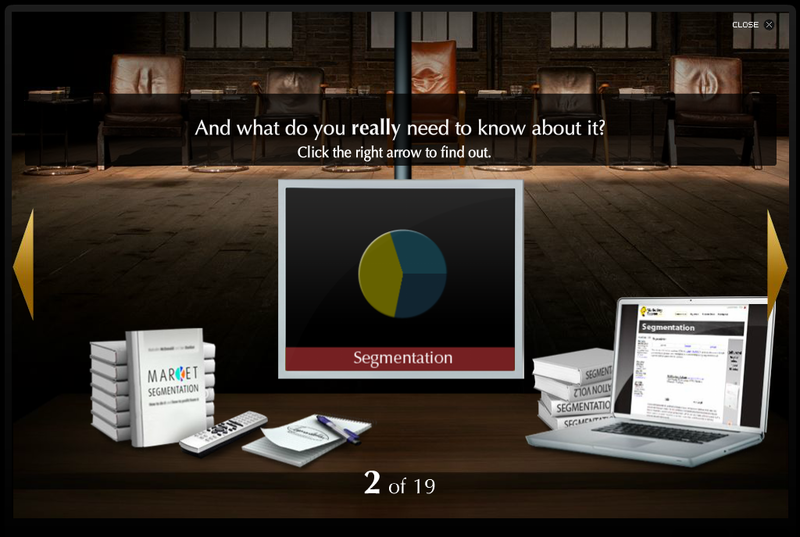 You will complete a set of real world interactive simulations where you will analyse business pitches. You will also answer self-reflective questions that focus on your personal skills, both in your daily life and working environment and how you work with other people. As well as skills questions and commercial acumen quizzes that test and measure your knowledge of business. Once you have completed the three levels you will unlock your personal skills diagnostic. 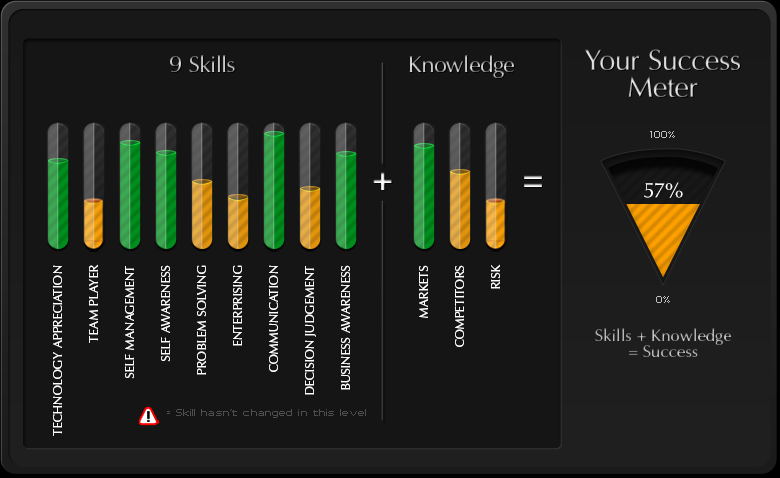 This is a profile that analyses your skills and knowledge showing your strengths and weaknesses, as well as giving you suggestions for development. This module is all about applying what you’ve learnt in the programme to something you can take forward into your career. Before you begin to use the toolkits you must complete a final exam which will test you one everything you have learnt throughout the programme. Once you receive the correct pass rate you will unlock your toolkits. Your toolkits will allow you to apply the methodology that you have learnt to your own business or business idea. This results in an output that measures the likely success of your business or business idea, highlighting strengths and weaknesses allowing you to spot opportunities and create action plans for improvement moving forward. To gain your Certificate in Business & Commercial Acumen start today. Enter with potential, finish with a complete skillset, reinforced with vital experience and unique business insights. With the reflective and analytical foundation of our courses you can develop your strengths whilst recognising your weaknesses and plotting your development. Let us help you build the bridge between ambition and success, all you need to do is start.